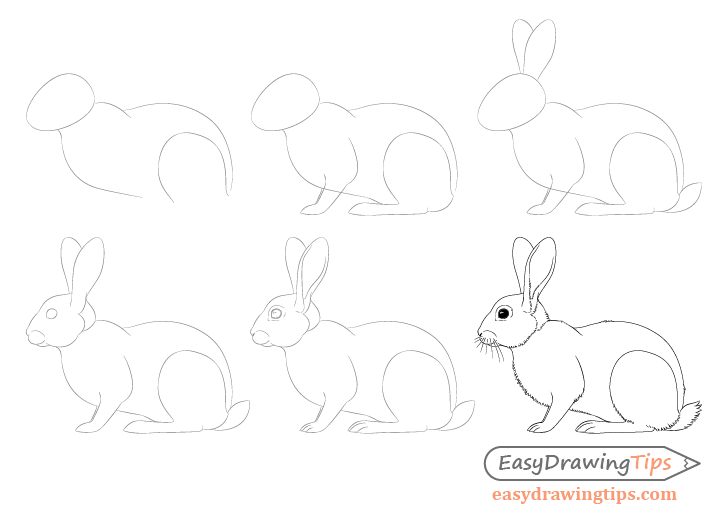 This step by step tutorial shows how to draw a rabbit from the side view and provides detailed illustrated examples for each step. 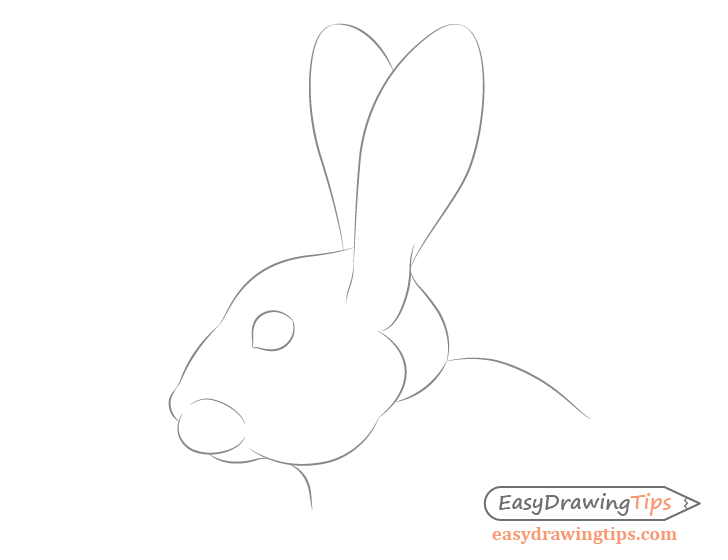 Compared to other animals a rabbit is not the most difficult one to draw but it can still be quite a challenge (especially if you are a beginner artist). To help this tutorial provides a drawing approach that goes from the basic shape of the body down to the smaller details. 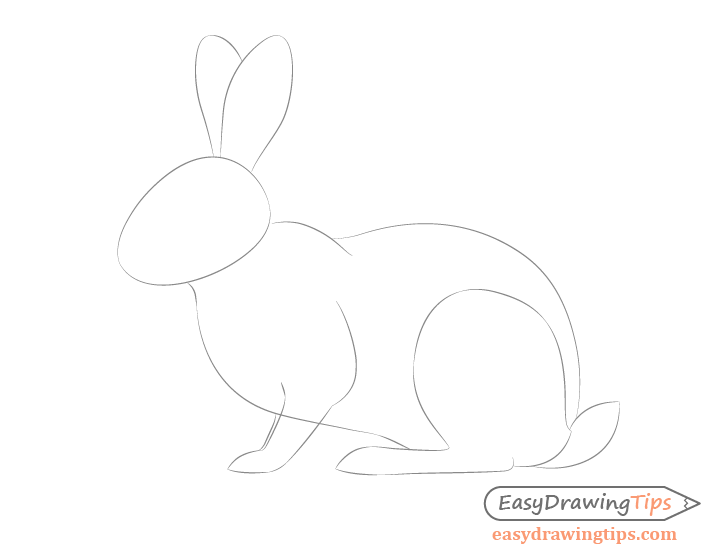 If you are going to be drawing the rabbit using pencil and paper be sure to make light lines that you can easily erase until you get to the final step of the drawing process. 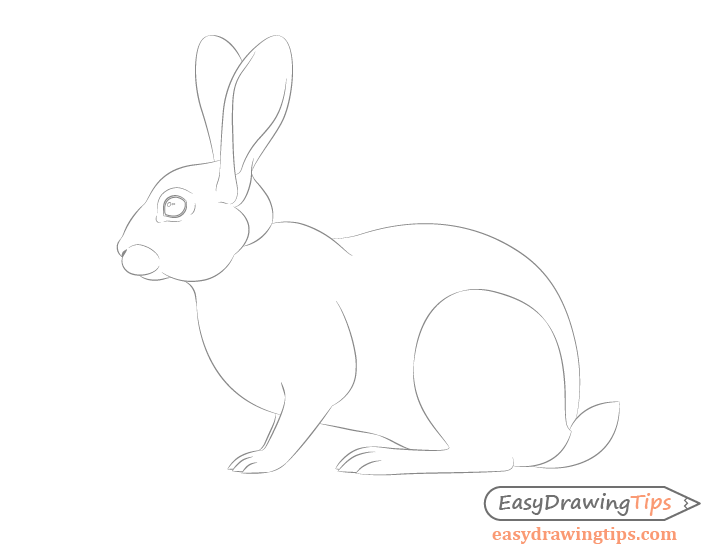 Start the drawing of the rabbit by first getting the overall shapes of the major parts of it’s body as in the above example. 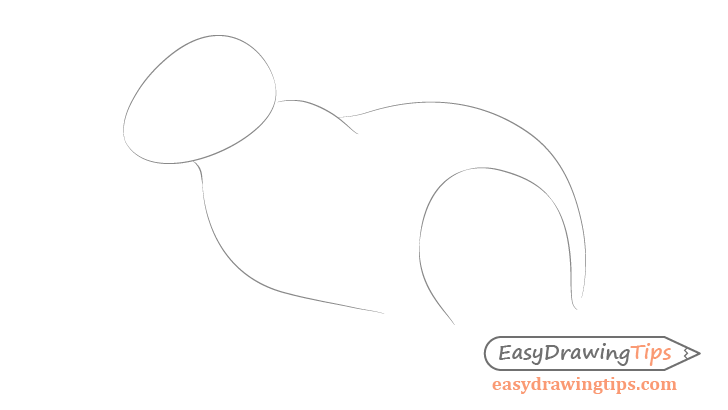 Draw the head as a sort of “egg” shape. Next draw the body itself which for a rabbit in this position can sort of be broken down into two parts, the smaller front and the larger back. You can pretty much draw the back shape with just one single curve (leave the bottom open for the legs). Next draw the upper part of the rabbits back leg (a fairly large shape). 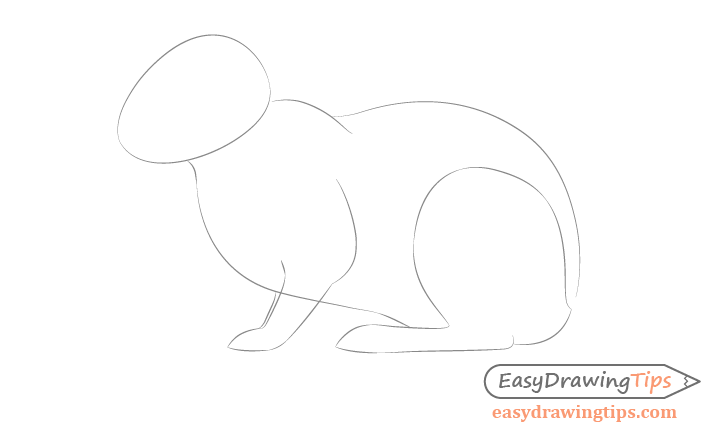 Draw the overall shape of the rabbits legs. The bottom part of the front leg gets slightly narrower from the elbow area towards the toes. The bottom portion of the back leg actually gets slightly wider towards the toes area. 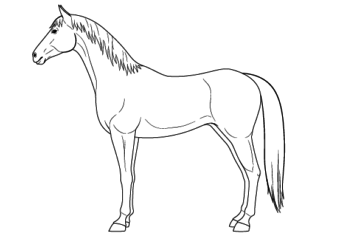 You can also draw just a tiny hint of the other front leg in the back (really just one line). 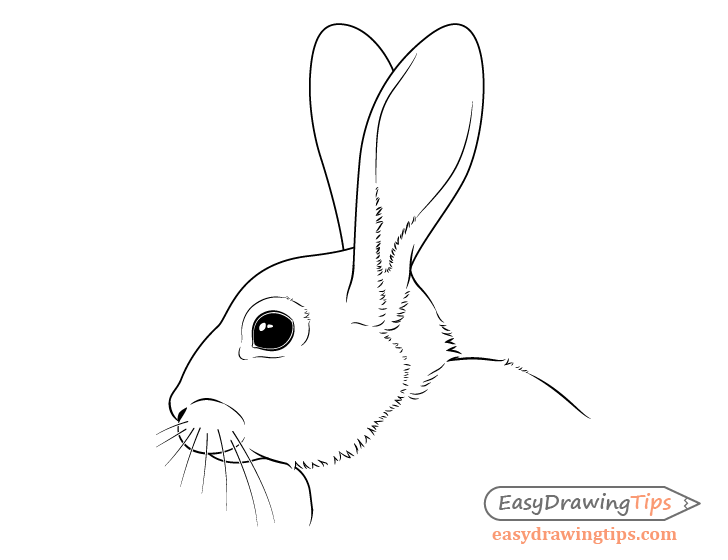 Draw the outer shape of the rabbits ears with the ear that is closer to the viewer pointing more towards the right of the picture and the farther ear pointing slightly to the left. The reason for this is that if you were to look at the rabbit from the front view each ear is actually tilted to each side of the rabbit. 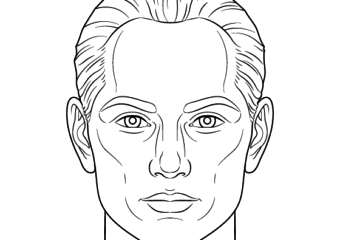 Drawing the ears as described above in the side view helps create this effect of the “tilted” ears. 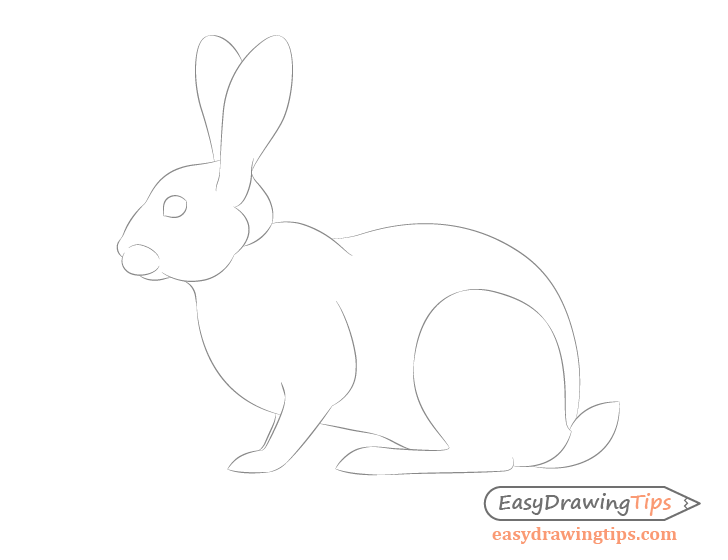 As rabbits have tiny tails you can draw it with just two curves for this stage of the drawing. Now add the details such as the the smaller bends and curves of the rabbits head. 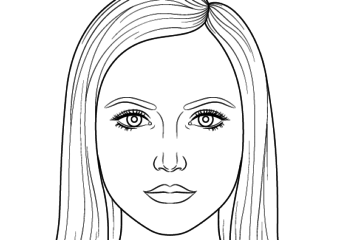 You can also draw the mouth area, cheek area, nose, eye, and bottom portion of the front ear. Finally you can add some whiskers to the upper part of the rabbits mouth area as well as some fur clumps. 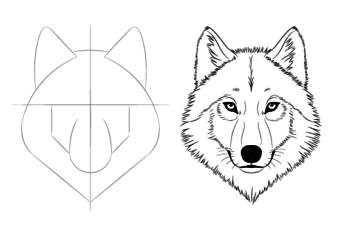 Draw the fur clumps of varying lengths and sizes and with slightly different curves to make the fur look more natural. You can also completely shade the eye (excluding the reflections). 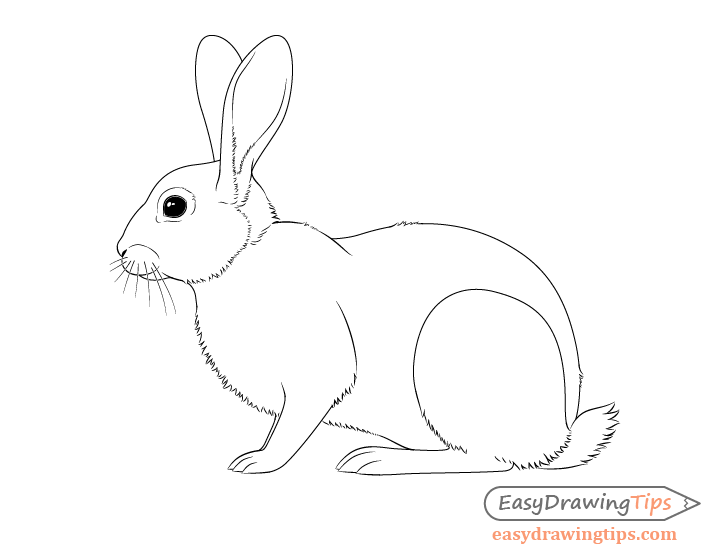 Though a rabbits are not the most complex animal they can still be quite a challenge (depending on your artistic skill) to draw. 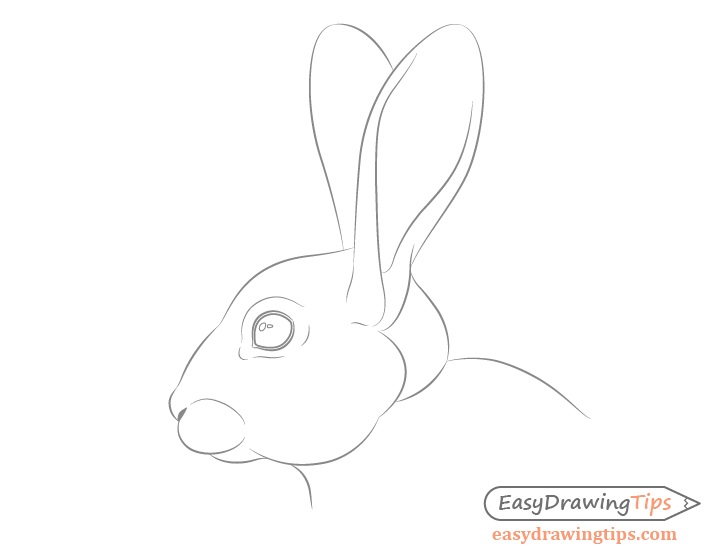 Hopefully the tips and drawing approach provided in this tutorial have helped you gain a better understanding of how to draw one.